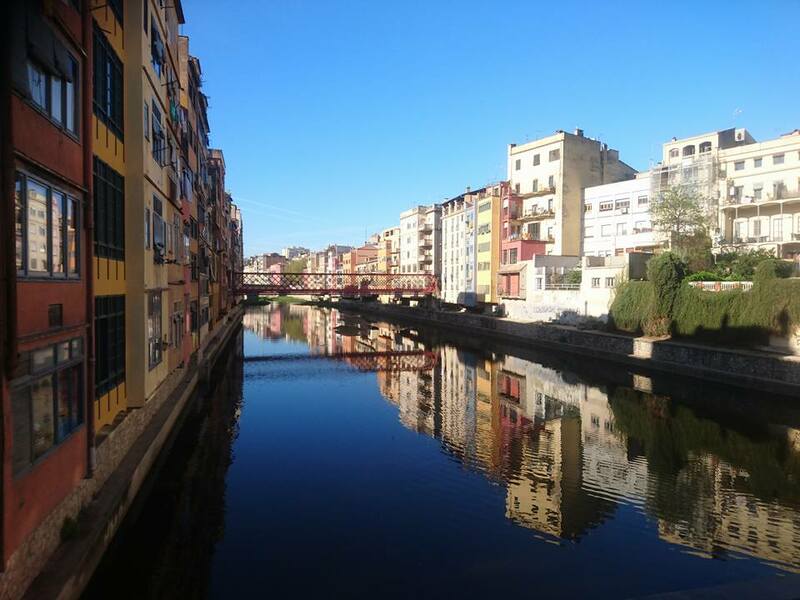 Cycling in Girona: the city where bike riding and holidaying go hand-in-hand – Ride. Write. Repeat. There are many roads you can use to get your head down and log some big miles. And there are many culturally rich cities, which will absorb you whole and spit you out the other side a more rounded human being for the experience. Girona is rather unique in that it can appease the cyclist who wants to explore more than just their capacity to suffer, recover, and do it all again. 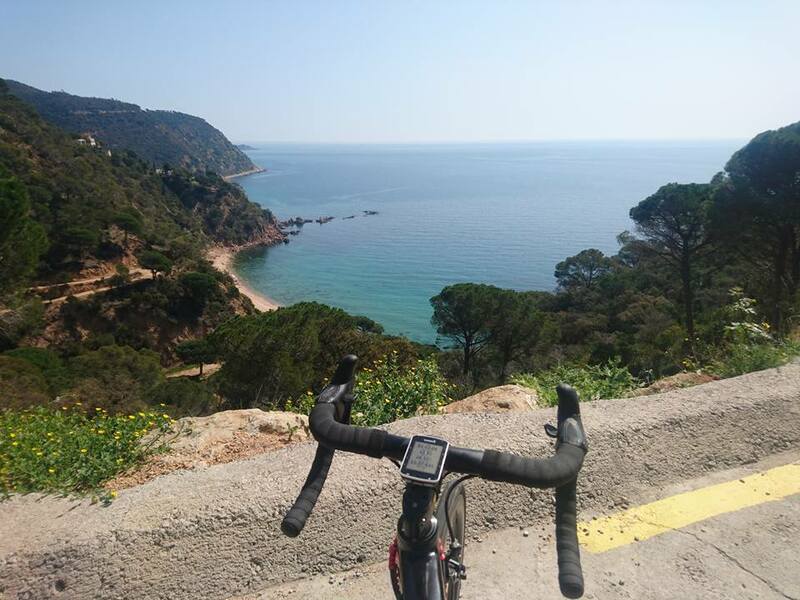 Mallorca, Denia/Calpe, Lanzarote and Tenerife are all known cycling hot spots, perfect for groups seeking a training camp base, and it’s with some hesitance that I recommend Girona – because one of its beauties is the untapped potential that makes for secluded climbs, near empty roads and occasional Strava triumphs. 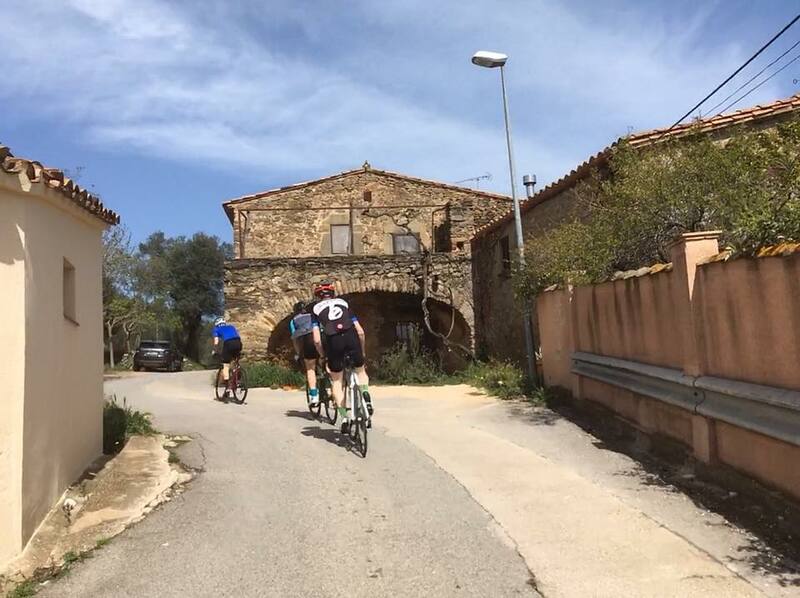 Having made countless pilgrimages to the cycling mecca of Mallorca, explored the Pyrenees and danced up and down the Dolomites, we chose Girona for our 2018 spring cycling holiday because we didn’t want a ‘training camp’. Travelling with my husband, and two friends, we were all seeking a holiday with ample bike riding, as opposed to bike riding with a side order of holiday. 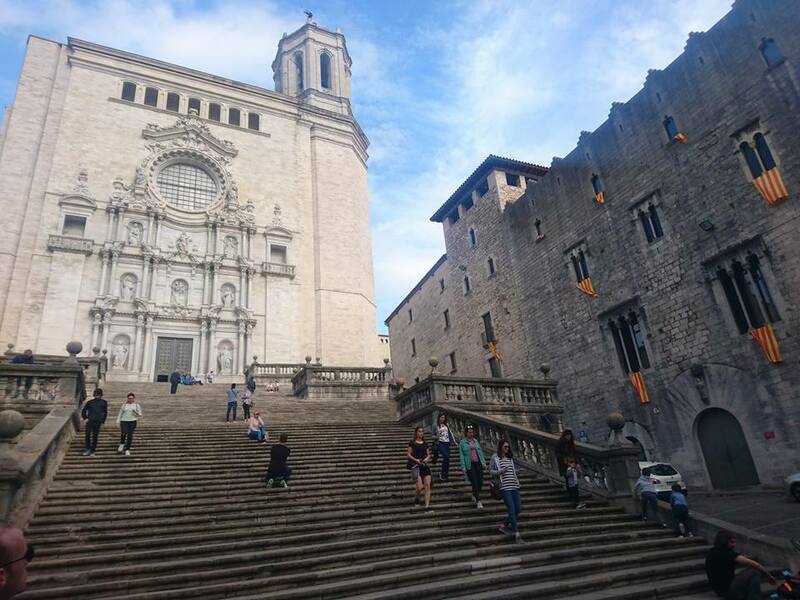 Airbnb guided us to a flat in the centre of the old town, the medieval section of the city sealed in by a fortress wall and overlooked by the imposing Cathedral of Saint Mary of Girona. The city itself is home to a miniature army of professional cyclists who enjoy a close-knit community there. Riders are well looked after thanks to the rather classy and Rapha-esque holy trinity of The Service Course (bike shop/rides/maintenance/tours/etc), La Fabrica (food) and Espresso Mafia (‘organised coffee’). All three prongs are the brainchild of former pro, Christian Meier, who seems to have made it his mission to ensure that cyclists in Girona are never left wanting. We were there for six full days, riding on five of them and logging 339 miles/545 kilometres with 26k feet/8k metres of climbing. Ride loops were easy to find, we downloaded GPX files and followed them with very few wrong turns. Getting in and out of the city took about ten minutes each day and patient Spanish drivers meant it was never a Russian roulette experience. Having warmed our legs up with two days of rolling terrain, on day three we tackled the Rocacorba climb – which is an absolute must-do. 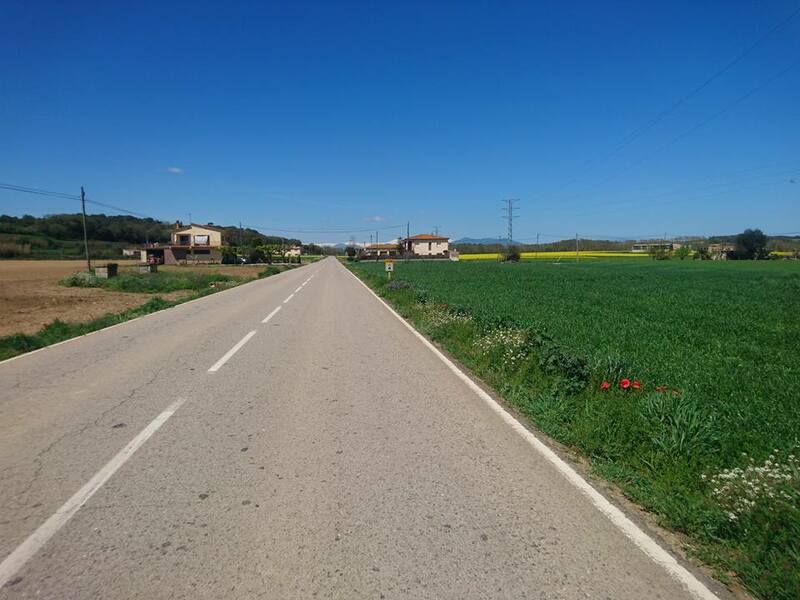 I’d go so far as to say it’d be doing half a job to visit Girona by bike without paying a visit to the dead-end road. The 10km climb boasts an average gradient of 7 per cent, but with extended sections at 10 per cent most would agree it feels like more. The road to nowhere element means it’s very quiet, we saw only a couple of motorbikes, at least one of which was towing a cyclist, and not many more riders. The descent is tight and the twists of the road will test your skills if you decide to push it. 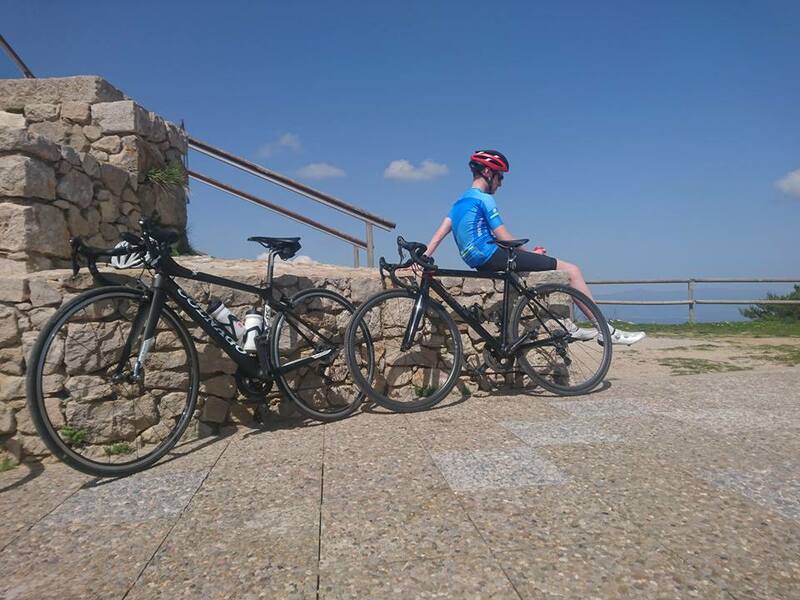 The climb erupts out of the lakeside town of Banyoles, making for a perfect post effort ice-cream stop with plenty of rowers, triathletes and other water loving individuals to add flavour to the view. 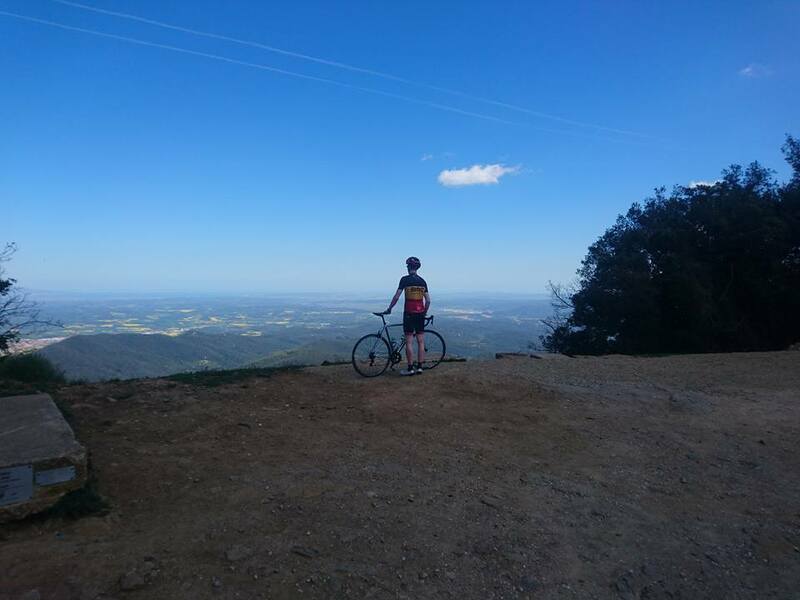 Our second major climb day included an ascent of Mare de Deu del Mont. Also called the ‘gateway to the Pyrenees’, the mountain is topped with a shrine, its name translating to ‘The Mother of God of the Mountain’. Do this one and you can say you climbed the ‘Mother of God’ mountain. Our ascent from Cabanelles was 18.8km long, but with the first 9km very shallow, it was only the second half where the gradient began to bite. The final three kilometres at 9-10 per cent didn’t half make themselves known, though. The third ‘must do’ ride is that of the coast road. I wasn’t too convinced on this one, since we’d already taken a day to drive to the sea – but having heard from several sources that it would be sacrilege to leave this section of tarmac unexplored, we made it our final mission. The opening miles carried us along flat, narrow farm lanes, eventually joining the wide roads which cut through the mountain preservation area of Massis de Les Cadiretes. From there the road settled into an uphill rhythm that finally gave way to a descent and then the rolling coastal road and its sea side views. The sea behind us it was back through green valleys, then on to the farm tracks and a return to Girona with plenty of short uphill punches en route to make up for the long flat stretches. The coastal ride was the only one where we found we passed another group of riders going the same way, and thus the only time we had to make that awkward negotiation of passing a larger peloton and hoping not to acquire a string of follow-on ducklings. Aside from two who sprang from the group to race us up a short climb (before returning to the safety of their fold), they let us continue in peace after a friendly ‘Ola’ – a refreshing experience when compared with some Mallorcan battles with fellow tourists, that never needed to become battles. It would be incredibly difficult to go hungry in Girona. Indeed, more than once I pondered how so many eateries could survive in one small, concentrated area. 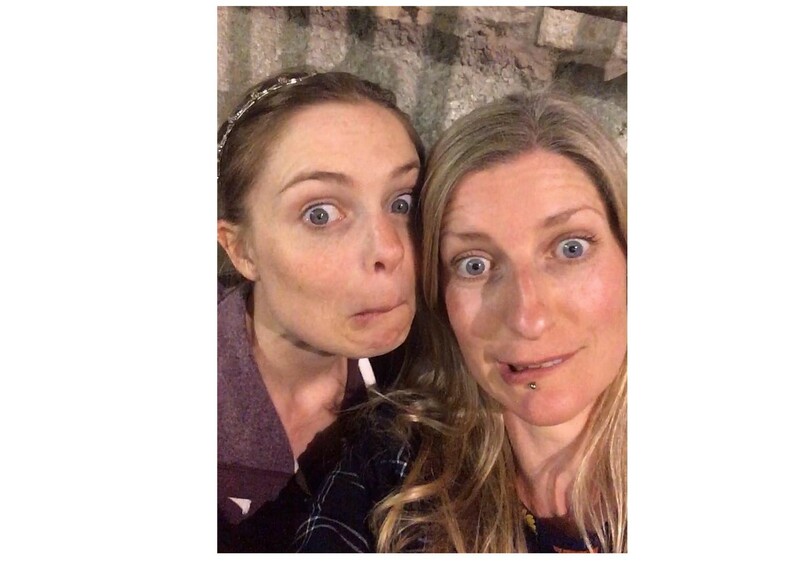 We sampled everything from tapas to Paella, to Italian and Mexican but had we stayed for longer may have also dipped into Sushi, French galettes and everything in between. Since competition is rife, overpricing is not. It would be hard to pinpoint a gastronomic highlight. But if pushed then perhaps I’d have to draw attention to the Rocambolesc Gelateria – where you’ll find ice cream and frozen yoghurt with an array toppings, but more famous are the novelty popsicles that make for endless selfie fun. Aside from its culinary excellence, Girona’s city streets themselves are an attraction. An amble along the wall is a must as is a look at the gardens surrounding the Cathedral. Following recent unrest, Catalonian flags and symbols of independence and liberation adorn the bridges and central square. 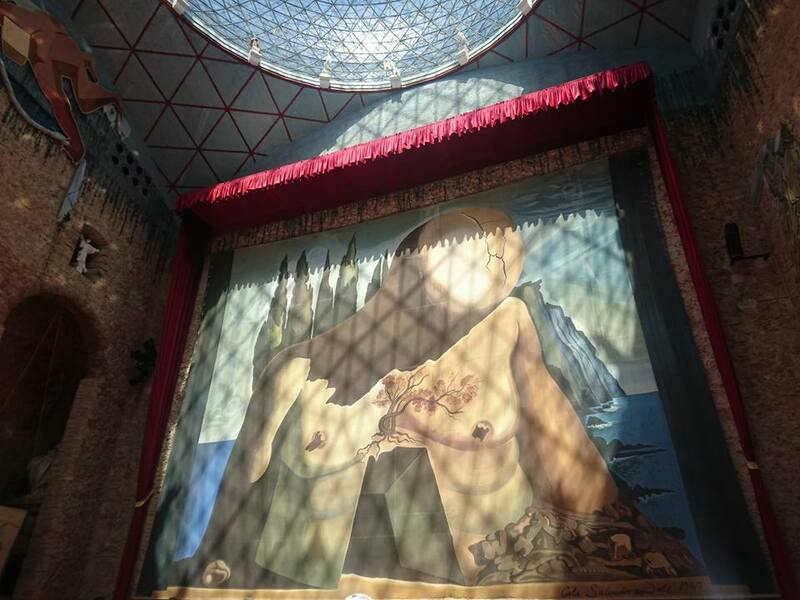 Venturing from the confines of the city, there’s the Dalí Theatre-Museum in the home town of Salvador himself, Figueres. It’s less than an hour from Girona and part of a complex of Dali attractions including his own home. There’s a statue of the artist on the sea front at Cadaqués, where you’ll find excellent tapas – we opted for the Chiringuito Maritim Bar for calamari and Estrella. 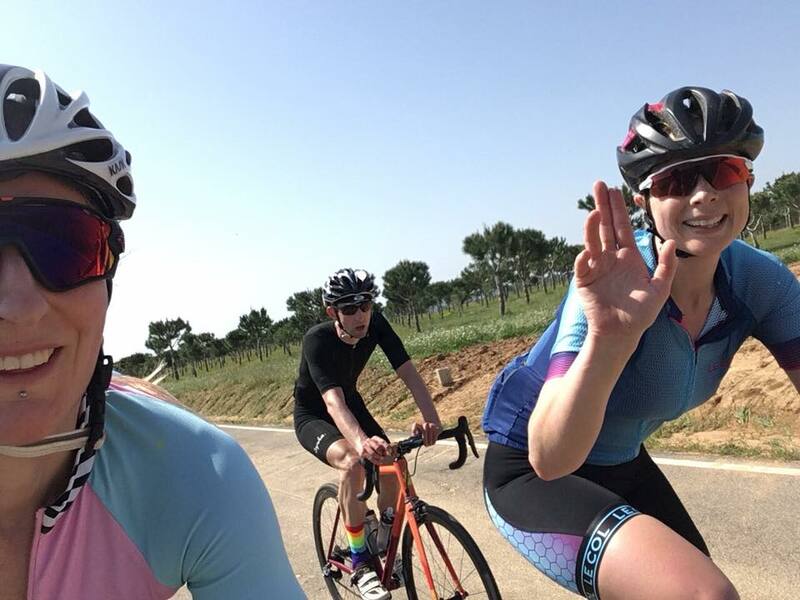 So many cycling holidays start innocently, masquerading as vacations but quickly descending into leg massacring training camps with little space for anything outside of pedalling up mountains, resting, and pedalling again. But Girona is a city that just doesn’t seem to allow for that. There’s so much else to see and do, it would simply be a travesty to use up every morsel of energy on the bike. And so we got some good miles in, but also made time to eat, drink, explore and be merry. Thus we returned feeling fit, but rested, and like we’d really seen a new part of the world – not just the spinning hub of the rider in front amid endless shades of grey.